Suffering from burnout, compassion fatigue or work-life issues? Make time for yourself, and distance yourself from what causes you the most stress. If we can achieve balance, the level of burnout and compassion fatigue will be minimized. Do you ever feel like life is spinning out of control? Like you never have enough time for the things you need to do, and no matter what you do, you think you should be doing something else? This is common among veterinary professionals. The stress begins during school and training and continues in the practice. Our work environment is often marked by long hours and physical, psychological and emotional demands. Add low support from managers and high expectations by clients and you have the perfect storm. To be a good veterinary nurse, you have to work hard and dedicate yourself to the practice. A fine line exists between burnout (a function of where you work), compassion fatigue (a function of what you do) and the loss of balance between your work and home life. Where do you fit in? We play different roles: veterinary nurse, practice owner, manager or receptionist, parent, spouse, partner, etc. Each is important, which is why we tend to overload ourselves with responsibilities at work and home. The veterinary profession has a high burnout rate. For many people, it begins as early as five to seven years into their career. What changes can we make in our practices to deal with burnout? How can we avoid compassion fatigue? Why is balance so important? If we can achieve balance, the level of burnout and compassion fatigue will be minimized. We should love what we do and where we do it. Happier and more productive work and home lives. Fewer medical issues related to stress. There is no perfect one-size-fits-all balance because balance is different for each of us depending on our priorities, obligations and lifestyles. Individual work-life balance will change over time. The perfect balance for you today might be different tomorrow, next week, next month or next year. At the core of an effective work-life balance are two key components: daily achievement and enjoyment. It sounds so simple, but you can’t have one without the other. Achievement lends itself to goal setting, enjoyment and a choice of how one spends his or her time. The challenge is how to integrate both into your life. Do you? Do your employees and co-workers have the ability to integrate both into theirs? We all know the challenges of being a veterinary team member. You have to be fresh, focused and mentally available. Every day. That’s our biggest challenge. 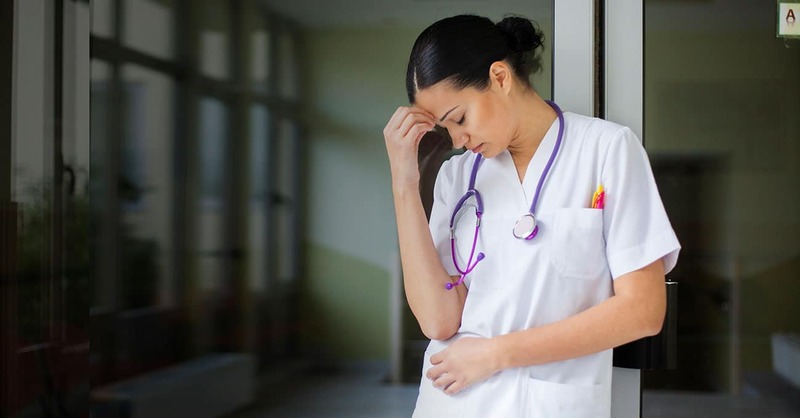 In a recent study conducted by Robert G. Roop, author of “Compassion Fatigue in the Animal-Care Community,” veterinary teams were asked to identify their top on-the-job stressors and satisfiers. The consistent stress factors for all job categories were difficult clients, non-compliant clients, difficult co-workers, poorly trained employees and not having enough time to get everything done. The satisfiers were helping pets, happy clients, working with a good team and educating clients. Hire appropriately and create great teams. Most businesses recognize the value of good employees and will do what they can to keep employees happy. It requires sensitivity to personal needs. If the practice you are working in has policies and programs designed to support personal balance, achieving and maintaining good balance will be easier. Communication and clear expectations are essential. You will be an even more valuable and productive employee if you can modify your current work situation. Consider working fewer hours per day or week. Negotiate or arrange for adequate time away from the practice. Take your vacation. You earned it. Work with practice leaders to address a negative culture and problem employees. Identify and address common workplace frustrations. Consider a different, less stressful position at the hospital. If efforts to make workplace adjustments are unsuccessful and you reach that dreaded burnout or fatigue stage, you need to consider whether the practice is the right place for you. If you still love what you do, a new employer might be necessary. You deserve to work in an environment that supports your efforts to maintain a healthy balance. Life is too short for you to be miserable every day at work and then bring the feelings home to your family. Time-management skills are important when maintaining balance. Much of the stress we feel is the result of disorganization. Set your priorities and make a reasonable to-do list. Enjoy the satisfaction of crossing things off your list. Make sure your list is not so long that it ends up as a frustration because you were unable to address everything. Delegation and asking for help is hard at work and at home. Taking care of the household, children and pets should not be the responsibility of one person. Share the load. Know when you need help. Cry “uncle” when you feel overwhelmed with family responsibilities. Resources are available. Allow yourself the time to find them. Whether it means finding child care or care for your aging parents, you have options. You can’t do it all. Learn to say no. Don’t sweat the small stuff. That’s easier said than done, but once you learn to let things go occasionally, you will be able to put things in perspective and focus on the important issues. Learn to recognize things that don’t have much impact on your life, and allow yourself to let them go. It may be housework, yardwork or non-pressing issues at the hospital. How many times have you stayed late at work trying to get your desk organized, the surgery laundry finished, the packs autoclaved or the floors mopped? When we stay late to try to finish everything, something or someone at home often needs our attention more. Let it go and go home, and don’t beat yourself up for doing so. You’ll find time to get it done the next day. Deal with outstanding issues. This means complete essential ones, delegate if appropriate and write tomorrow’s to-do list. Acknowledge the workday is completed. Take off your name badge, lab coat and uniform. Clock out, log off and go home. Limit calls from the hospital to true emergencies. Many things can be done to achieve balance. Take steps to enjoy the things and people you surround yourself with. Make time for yourself, and distance yourself from what causes you the most stress. Take control of your schedule and don’t fill every minute. The key word is balance. You need to find the balance that works for you. No one can find it for you. If you don’t control the chaos in your life, chaos will control you. Celebrate your successes and don’t dwell on your failures. Life is a process. 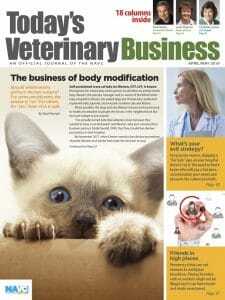 Getting Technical columnist Sandy Walsh is a practice management consultant, speaker, writer and instructor for Patterson Veterinary University.